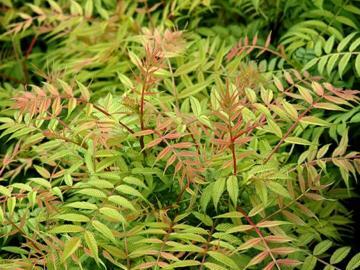 Compact semi-dwarf form with very attractive elegant pinnate leaves that emerge shrimp-pink, then fade through creamy yellow to green. 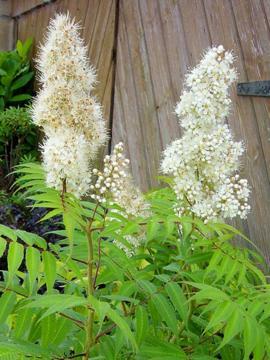 Panicles of creamy white flowers in summer. From rooted suckers in autumn or winter or semi-ripe cuttings in summer.